The EvenMidi Pitchy is designed to sequence your Eventide H9 or Digitech Whammy pedal, and help you create some cool and unique sounds in the process. 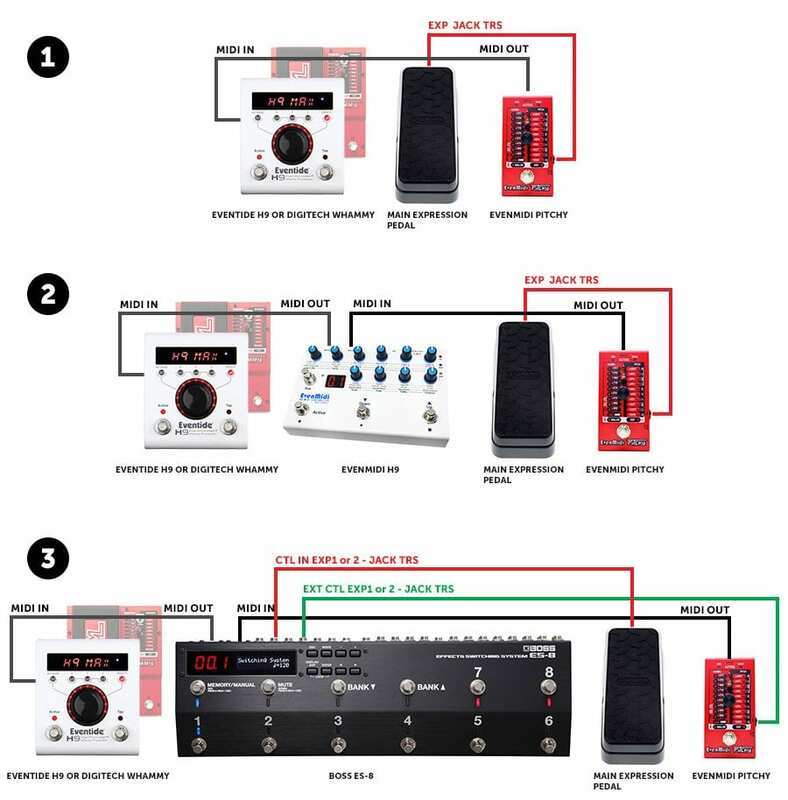 If you own either of the following units then you can utilise the Pitchy in your rig – Eventide H9 or the PitchFactor, Digitech Whammy 4, Digitech Whammy 5/Bass or the Digitech Whammy DT. Essentially it gives you the ability to sequence and control these effects all via MIDI, allowing you to control parameters and also access 24 presets, using 1/8th, triplet and 1/16th notes, plus the Pitchy has a handy tap-tempo function for added flexibility when being used in a band scenario live. 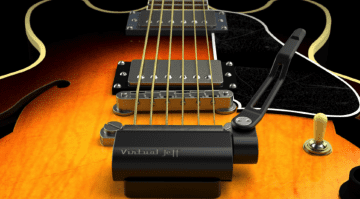 Pitchy can also be used with an expression pedal, letting you control even more using your foot. Or you can use the built-in footswitch to send maximum values. 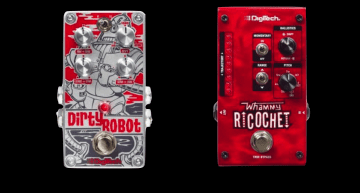 That’s how the Pitchy allows you to emulate the DigiTech Ricochet‘s momentary latch effect. 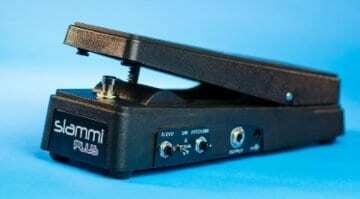 If you already own any of the above-mentioned effects pedals and fancy opening up their possibilities, then the price that they are asking for the Pitchy is more than reasonable considering the extra control on offer. My advice would be to check out the official demo video below, as I think it does a pretty good job of showing you what is possible with the Pitchy, so it’s well worth a watch. 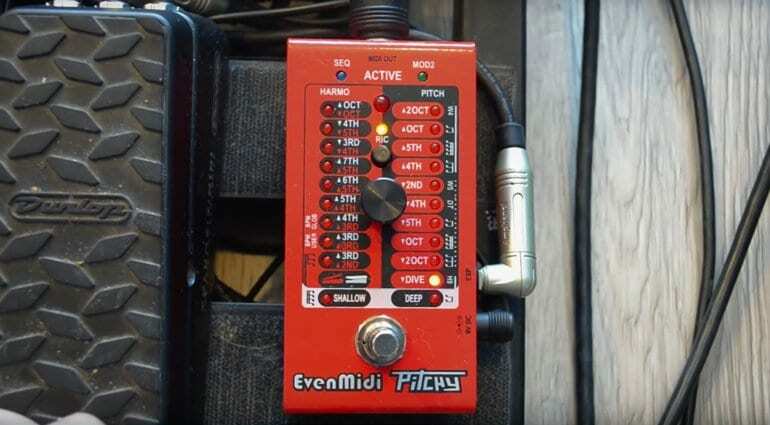 You can order a Pitchy direct from EvenMidi and I have included their web address below, as there is a lot of useful information on there about how to use Pitchy with various setups. 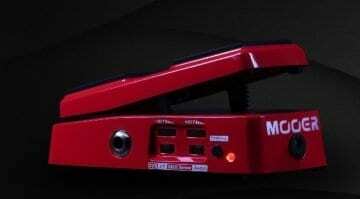 Mooer Pitch Step pedal: Nice price, but with a sound to match?